Top 5 Reasons to BUY or NOT buy the Dell XPS 13 (9370)! LaptopMedia.comHighlightsTop 5 Reasons to BUY or NOT buy the Dell XPS 13 (9370)! Honored with an “Innovations Award”, the notebook Dell XPS 13 (9370) is designed to meet not only your business needs but also entertainment ones. Today’s short article featuring its top 5 pros and cons will give you some insight into the capabilities of this laptop. 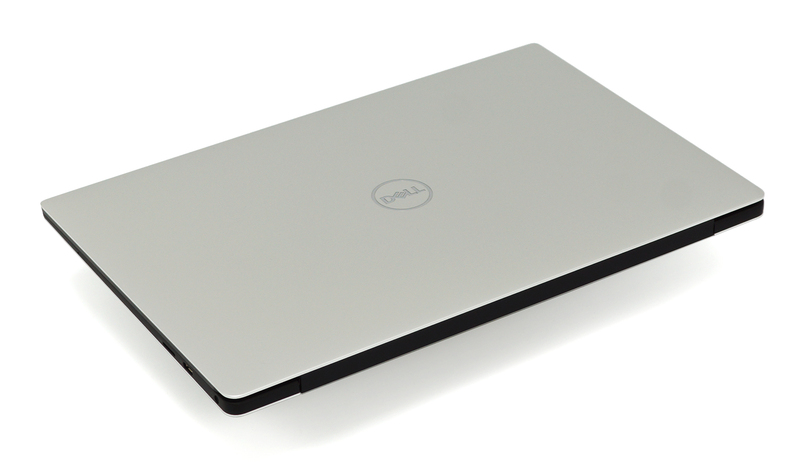 The Dell XPS 13 (9370) offers premium design thanks to the all-aluminum body and rubberized plastic interior. Speaking of the latter, it consists of a keyboard, touchpad, and an On/Off button surrounded by composite material which also includes carbon fibers. What’s more, this sophisticated device by Dell boasts really small dimensions – 302 x 199 x 16.2 mm (11.89″ x 7.83″ x 0.64″) and 1.27 kg (2.8 lbs) weight. Although you will find a ULV (ultra-low voltage) processor under the hood – the new 8th gen Intel Core i7-8550U, it ensures sufficient performance during short workloads which means that in everyday work you won’t notice any lagging. The 13.3-inch Full HD display is certainly one of the main selling points of the notebook. 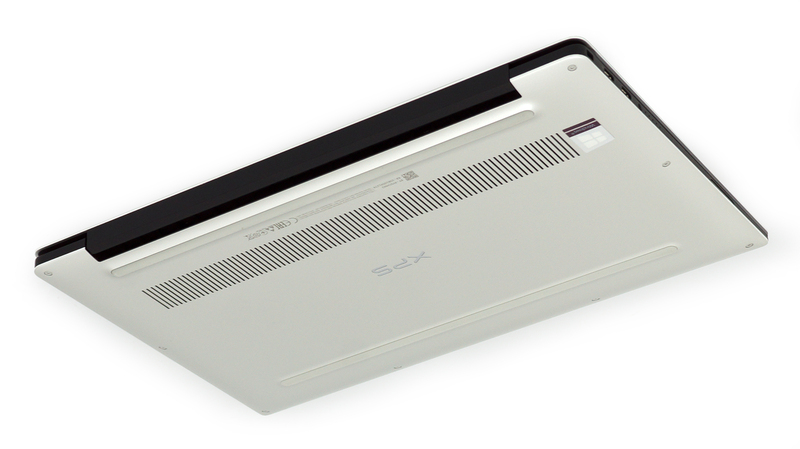 Apart from having very comfortable viewing angles, it is also one of the brightest currently on the market – the brightness level is 457 nits. What’s more, the brilliant contrast ratio (1680:1) and 96% sRGB coverage further contribute to the immersive visual experience. And if you install our “Gaming and Web design” profile, the screen becomes truly suitable for color sensitive work. 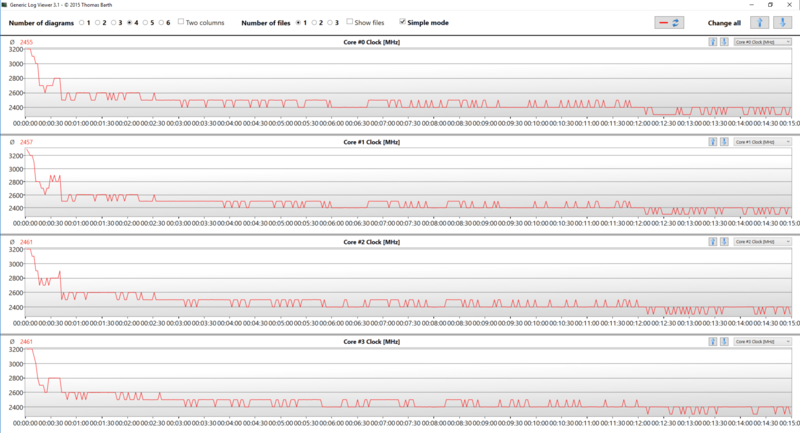 Another significant advantage of the Dell XPS 13 (9370) is its battery life. The 52Wh managed to score the impressive 678 minutes in our web browsing test and 692 minutes in our video playback one so you can use your laptop the entire day without worrying about a power source. As usual, we put the notebook to our extreme stress tests and the outcome was rather disturbing – we measured pretty high internal temperatures. 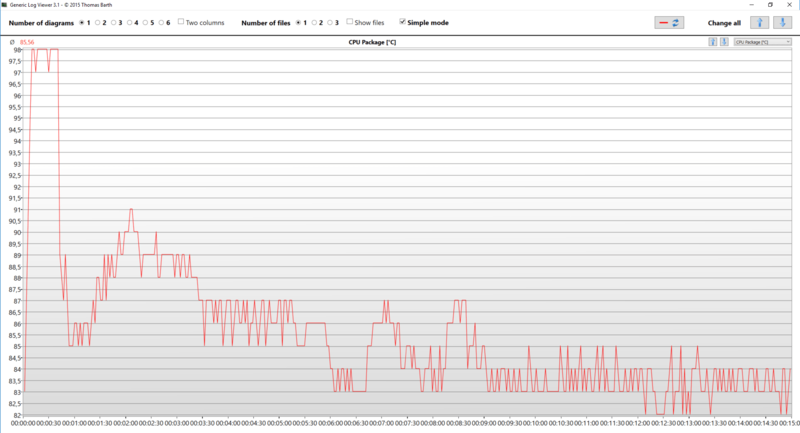 The processor got an average of 85°C for 15 minutes of the stress test and it reached around 98°C on some occasions. If you are looking for other similar alternatives to the Dell XPS 13 (9370), we suggest checking Acer Spin 5 (SP513-52), Acer Swift 5 (SF514-52) and Dell XPS 13 9360. Follow this link to read the in-depth review of the notebook.